When it comes to moving massive files between storage clouds, performance depends — quite a bit — on which clouds you use, according to new research. For its report Bulk Data Migration in the Cloud, Nasuni repeatedly transferred 12 TB of data between its top-rated clouds–Amazon’s (s amzn) S3, Microsoft Windows Azure (s msft) and Rackspace (s rax). This was not an academic exercise for Nasuni because it manages customers’ encrypted data on these clouds and often transfers the data from cloud to cloud for optimum performance or redundancy. But the findings are broadly applicable to the many companies that are considering cloud storage options. Once they put their data in a given cloud, they want assurances that they’ll be able to move it as needs dictate. 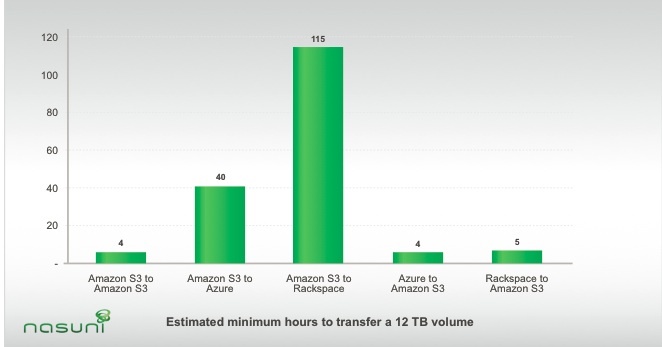 Surprisingly, Nasuni found the time it takes to transfer data varies considerably depending on which cloud is on the receiving end of that data. Rackspace to Amazon S3: Five hours. “Why do we care? We deliver storage services to businesses and it’s important that we use the best components for the customers’ use case,” said Andres Rodriguez, CEO of Natick, Mass.-based Nasuni. 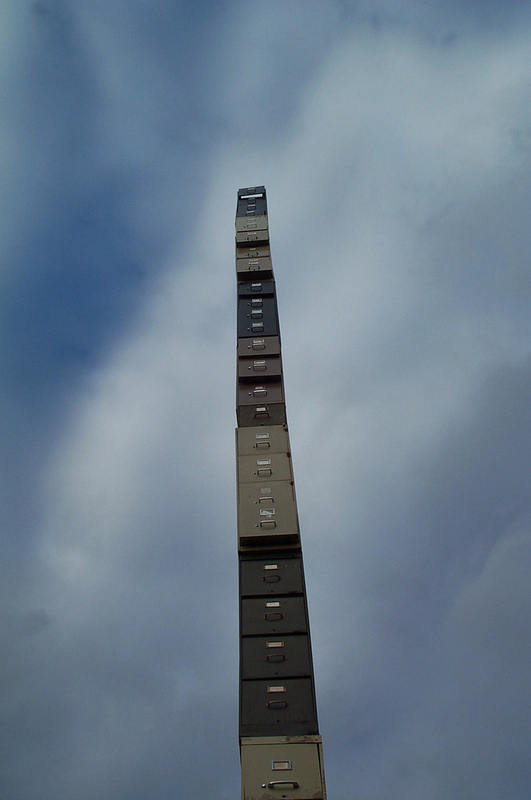 “If you want data to be synched globally, it’s extremely important to have fast throughput for reads, but more importantly for writes.” Storage systems typically take longer to write data than to read it. The time it took for Rackspace to ingest data transferring from Amazon S3 was surprising and Rodriguez surmised that there was some sort of “throttling” going on there — although it’s hard to tell from the outside what’s actually happening. None of these cloud providers are particularly forthcoming about the niceties of their operations. Another surprising finding was how variable Windows Azure performance was over time. The tests showed that Azure’s performance appeared to depend on the time of day the test was run. This research builds on a Nasuni’s earlier Cloud Storage Report from December, which tested cloud service providers (CSPs) and designated Amazon S3, Microsoft Windows Azure, and Rackspace as top dogs in the field. Only six of 16 CSPs tested even made the cut. Test Microsoft Windows Azure to Rackspace time. Truth will come out. A 25 times difference in transfer speed is a huge number. Choosing the right cloud storage provider requires lots of considerations, and speed is definitely one of them. For a company with a lot of data, speed and time to complete is a major consideration when looking at cloud storage providers. Interesing research and suprising results! Thank you for information!